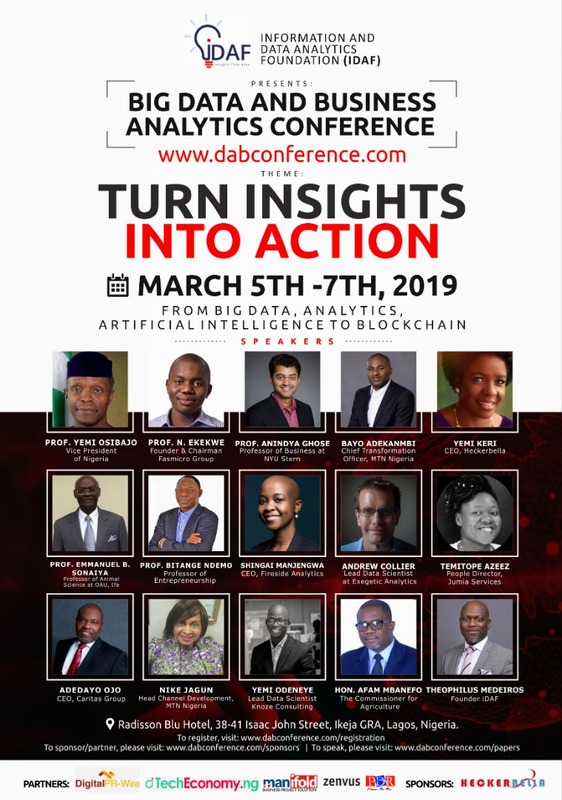 I invite you to join me along with Prof Yemi Osinbajo, Prof Anindya Ghose and other speakers in Lagos (5-7 March 2019) for Big Data & Business Analytics Conference. We will discuss the new industrial redesign which is expected to be as impactful as the invention of fire. Yes, big data, analytics and the narrow nexus of artificial intelligence will restructure the architecture of modern commerce and industry. We will examine how companies can prepare, plan and position to win. Prof Yemi Osinbajo, Nigeria’s Vice President, will speak in person, delivering the Opening Message. 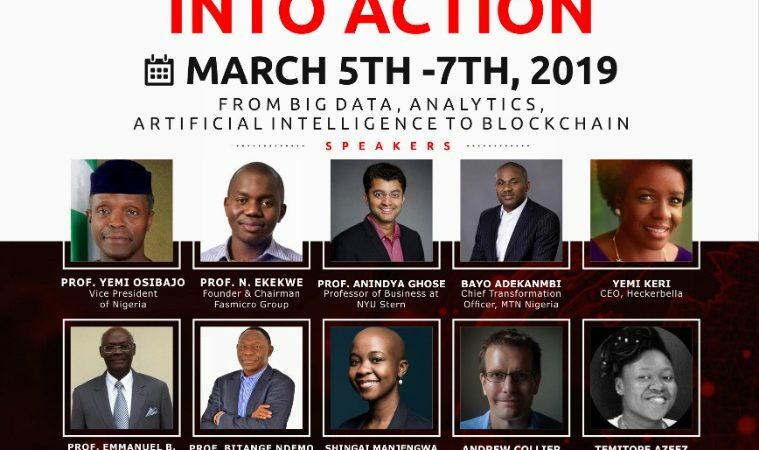 I will keynote the event with a speech titled “Abundance in the Data of Nations”. I invite you all to make this event. My agtech subsidiary, Zenvus, is a sponsor. You will experience how AI is unlocking immense opportunities for farmers, replacing “guesswork farming technology” with data-driven processes, and along the way delivering abundance. I invite you to attend (register here), and possibly connect.